It was hard to believe that I was still in Texas when I caught my first glimpse of the Franklin Mountains! 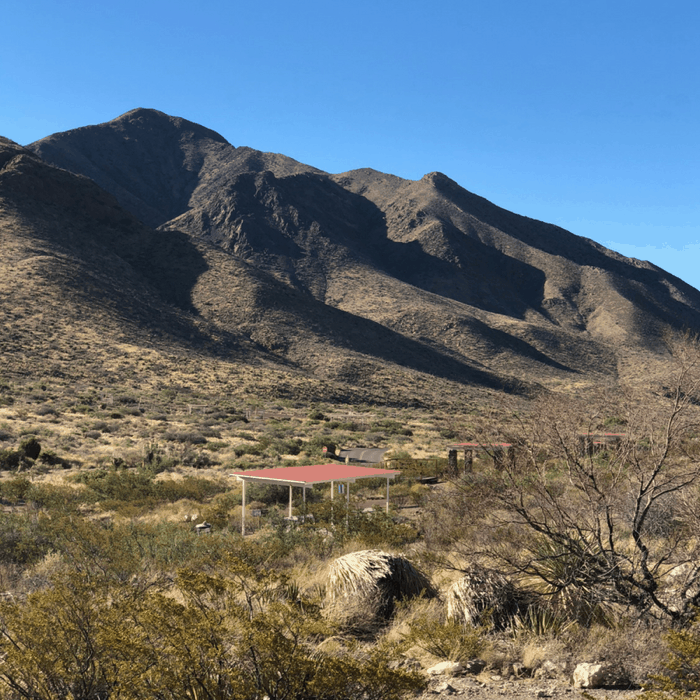 Franklin Mountains State Park is the largest urban park in the nation residing completely within city limits. You can enjoy year-round recreation with areas for picnics and lots of hiking trails. We enjoyed a breakfast picnic and incredible views from several locations within the park. One of our views even stretched into New Mexico. 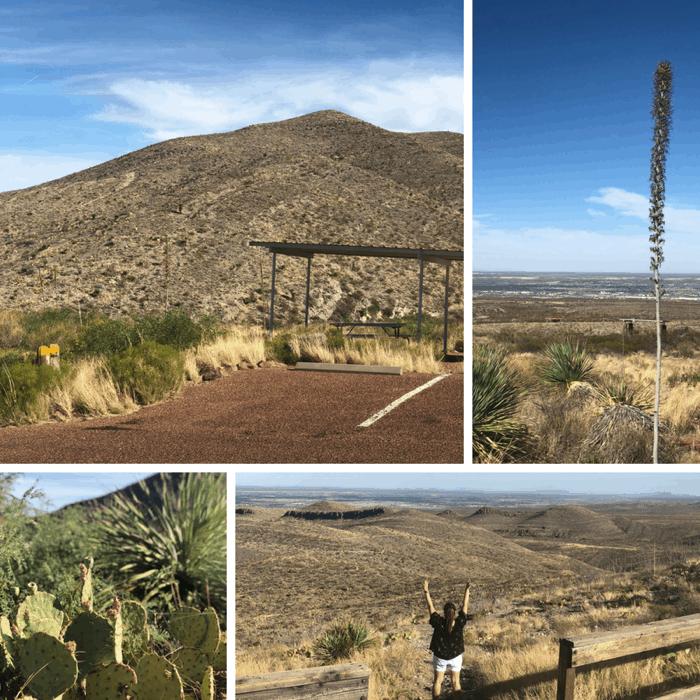 The trails here are popular for running and you can also see the park from another angle by cable car on the Wyler Aerial Tramway that takes you 5,632 feet above sea level with views of 2 nations (USA and Mexico) and 3 states (Texas, New Mexico, and Chihuahua) within 7,000 square miles. The next time that I visit I’m adding the cable car and the Copper Mine Cave Tour, that takes you into a mine shaft to my list. I wasn’t very familiar with the Lucchese Boot Company before my visit to El Paso but I became a big fan afterward! 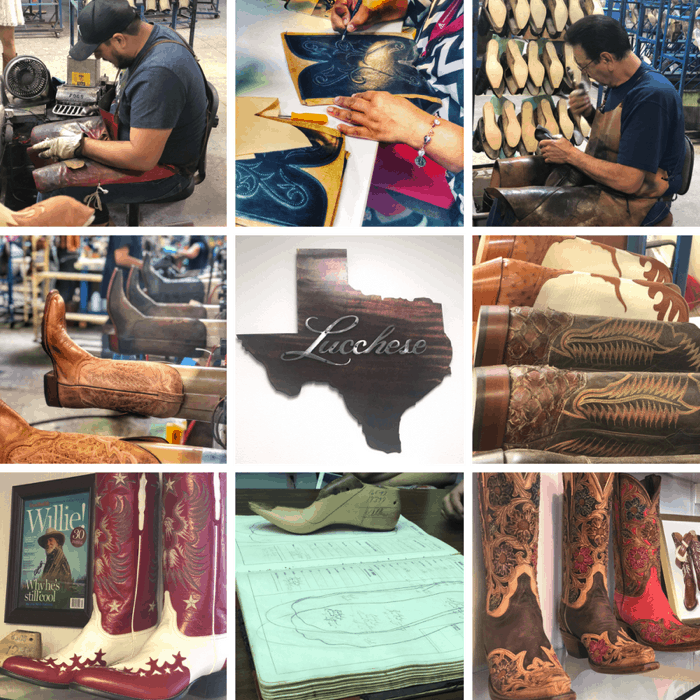 The company dates back to 1883 and we had the opportunity to tour the Lucchese factory and learn more about their boot making process that custom crafts each boot by hand. 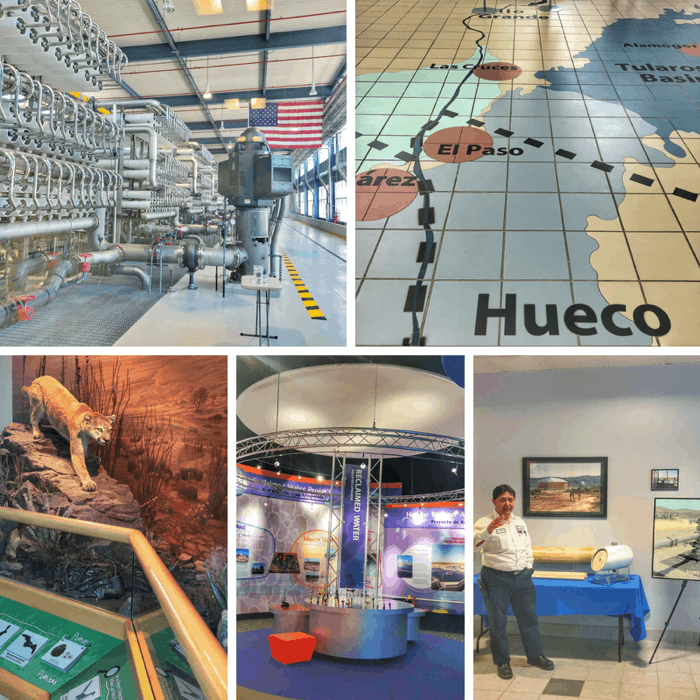 The tours are not open to the public without prior scheduling but they can be arranged by contacting Nora Ochoa, the El Paso Visitor Services Manager at the Union Depot Visitor Information Center downtown. Her email is nochoa@destinationelpaso.com. The process takes about 10 weeks for 1 pair of boots and has around 100 steps in the process. 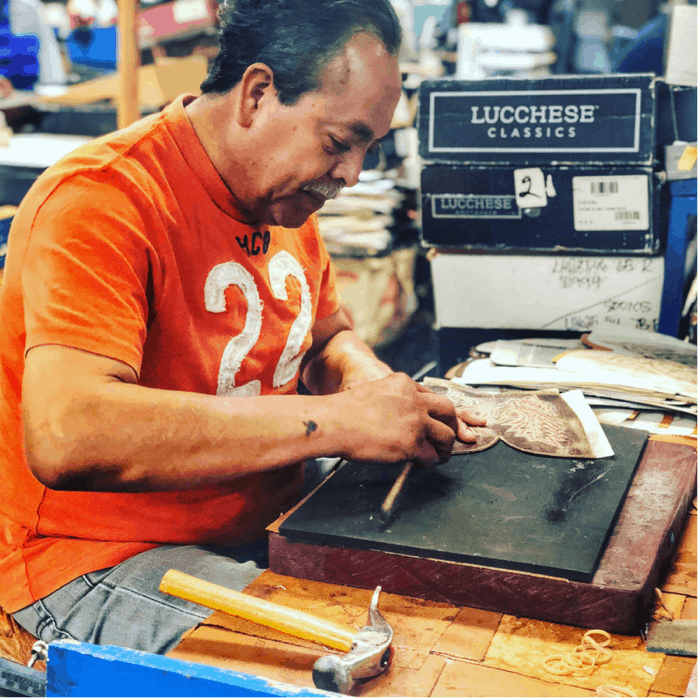 One of the big differences that set Lucchese boots apart is their custom boot mold that is proprietary and designed for even greater comfort. 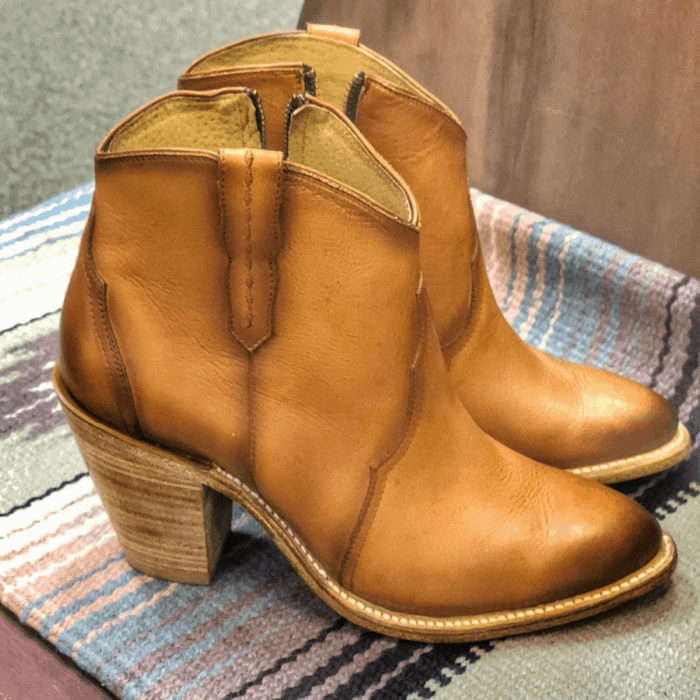 Many of the employees have worked here for years and several of their children have even grown up and become the next generation of craft boot makers. It is truly a lost art! 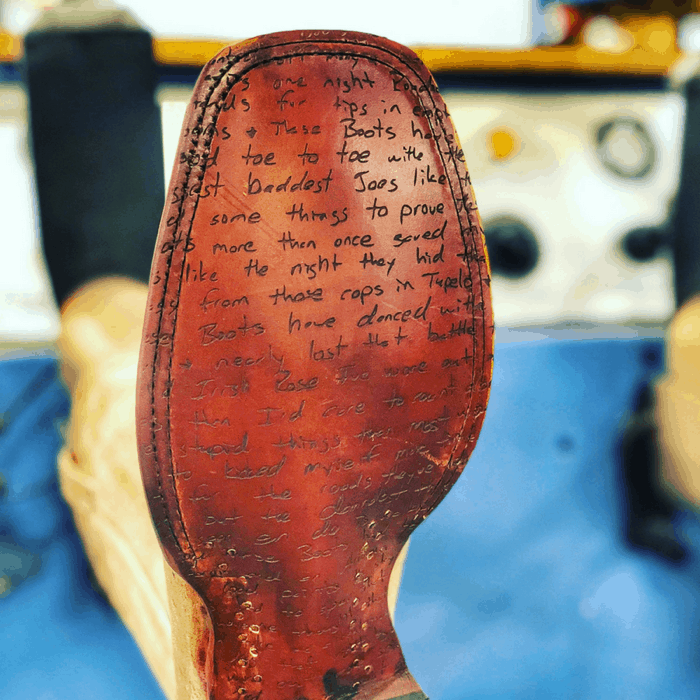 This boot pictured above is custom made for Eric Church who has the lyrics of his songs on the bottoms of the boots. You can only purchase these boots at one of his concerts. Lucchese boots are favorites of lots of famous people past and present including Johnny Cash, Willie Nelson, and were even worn by President George H.W. Bush during his inauguration ceremony. After taking the tour I truly have an appreciation for the excellence and craftsmanship that goes into each pair of boots. 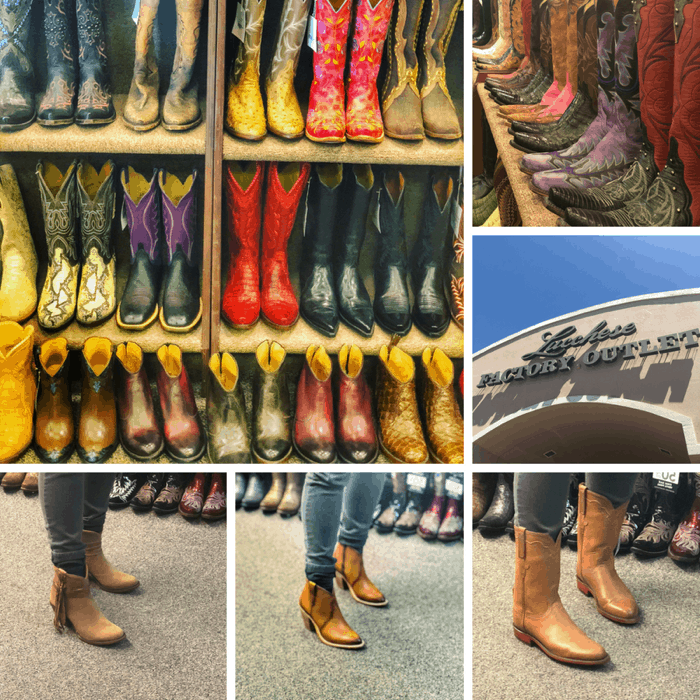 Thanks to a generous gift, we were also given the opportunity to shop for a pair of boots at the Lucchese Factory Boot Outlet. This is a great stop if you want a deal and don’t have the patience to wait for a custom pair. The stock is more limited but you will still find a great variety in every size for both men and women. I tried on several pairs but ended up with the pair pictured above in the middle. I love that the bootie style has a zipper and is easier to slip on and off. I also love the color which can go with just about anything and the style felt more flattering on my leg than a higher boot. The suede bootie with fringe on the left pictured above was a close second. I was told that every boot has a serial number and that it can take about a week to break in the boots. There is arch support in the boot and the heel is made with stacked leather. If you need to get your boots resoled it costs around $250 and takes about 6 weeks. The 35 acres zoo features animals from the Americas, Africa, and Asia. 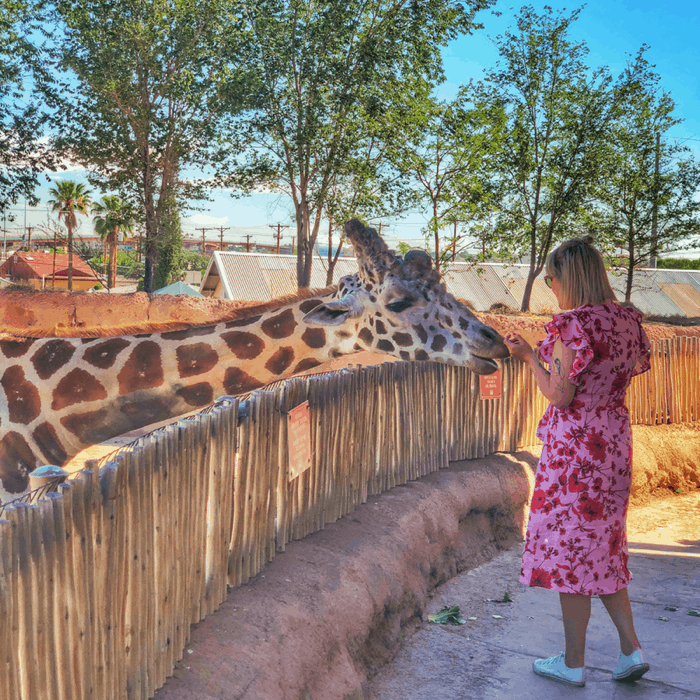 A few of my favorite experiences during our visit were feeding the giraffes during a giraffe encounter, the Wings of the Desert Bird show, and watching the Meerkats play in a pool of plastic balls. Seriously, it was so cute to watch the meerkats play during one of their enrichment activities. 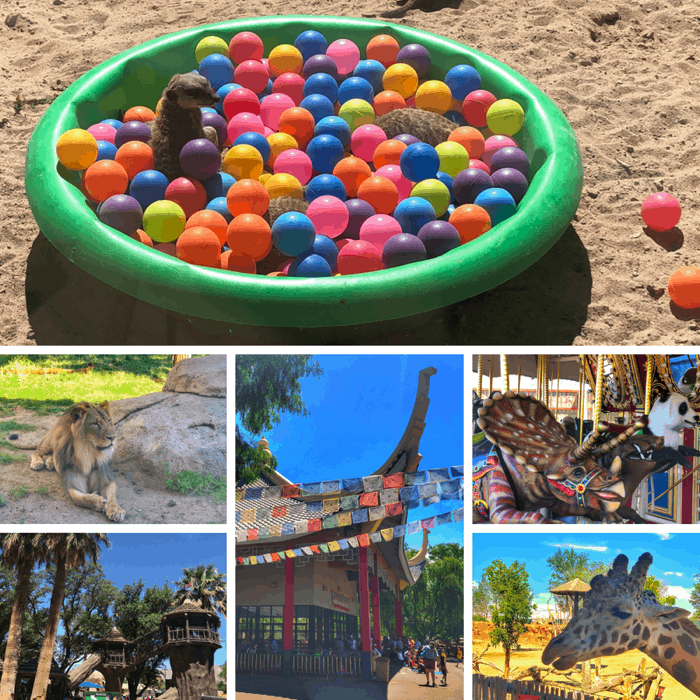 Kids can burn off extra energy in several areas of the zoo on the Foster Treehouse Playground, African Star Train, Endangered Species Carousel, or the Family Desert Spring sprayground which is perfect for cooling down on a hot day! 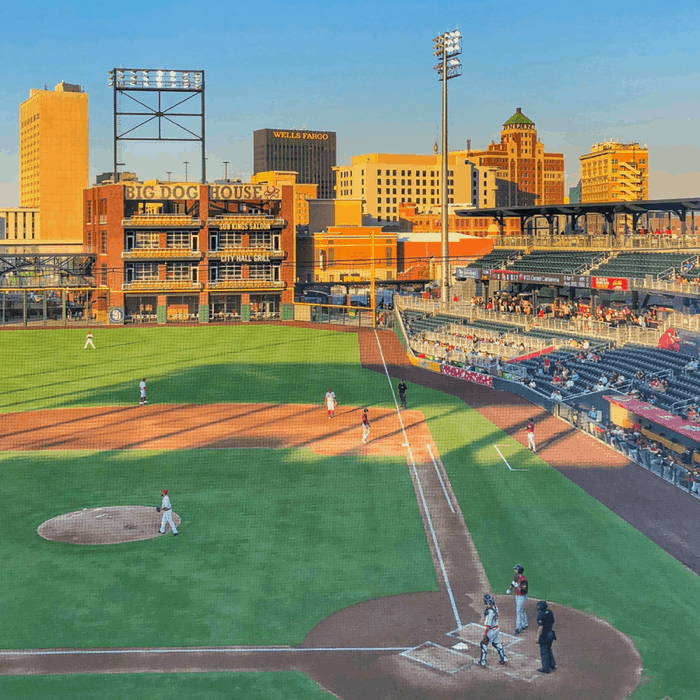 On a beautiful evening, another great option is to watch the minor league baseball team, the El Paso Chihuahuas located in the heart of downtown. 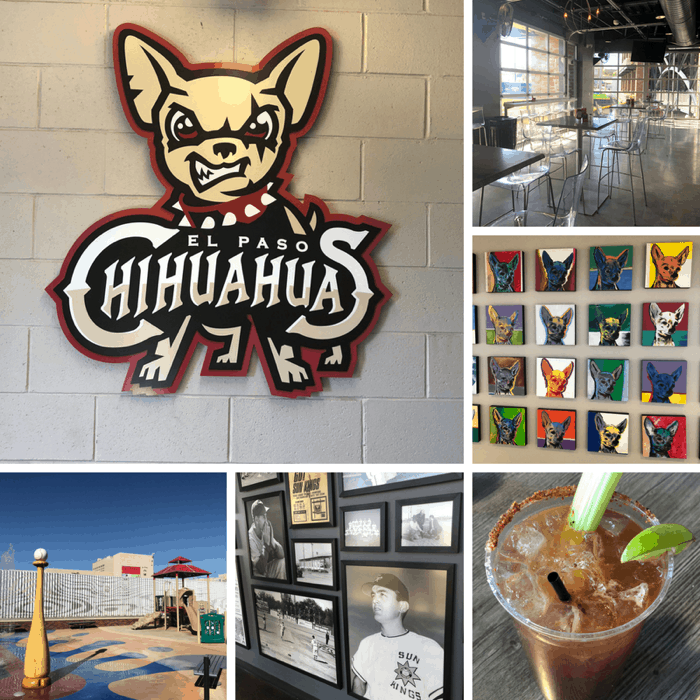 The stadium is created in such a way that there isn’t a bad seat in the house and El Paso’s Chihuahua mascot is ADORABLE! The El Paso baseball team is the Triple-A affiliate for the San Diego Padres. If you want to enjoy a meal during the game, stop by the City Hall Grill which was given its name in honor of the stadium being on the former site of City Hall. You can also see memorabilia on the walls from the teams’ former names over the years. Kids will LOVE the playground with a sprayground feature that still allows parents to have views of the game. 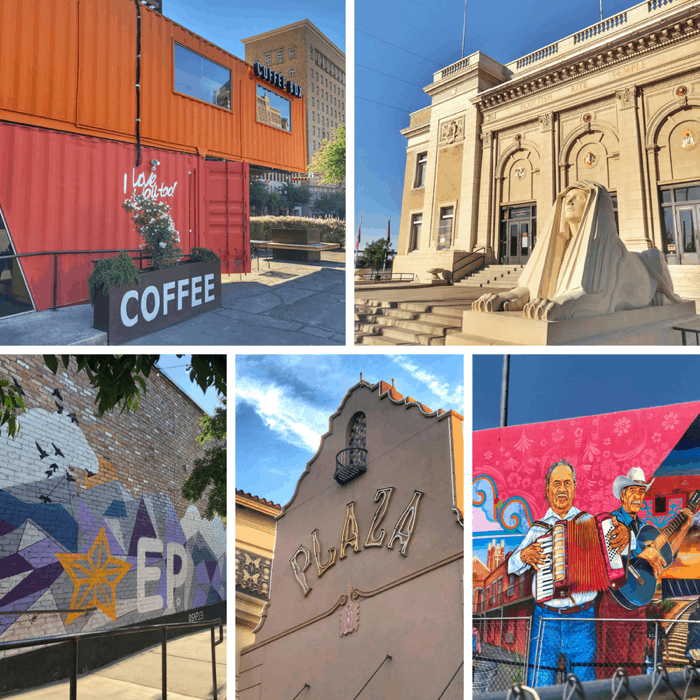 El Paso has a LOT of fantastic street art and architecture. 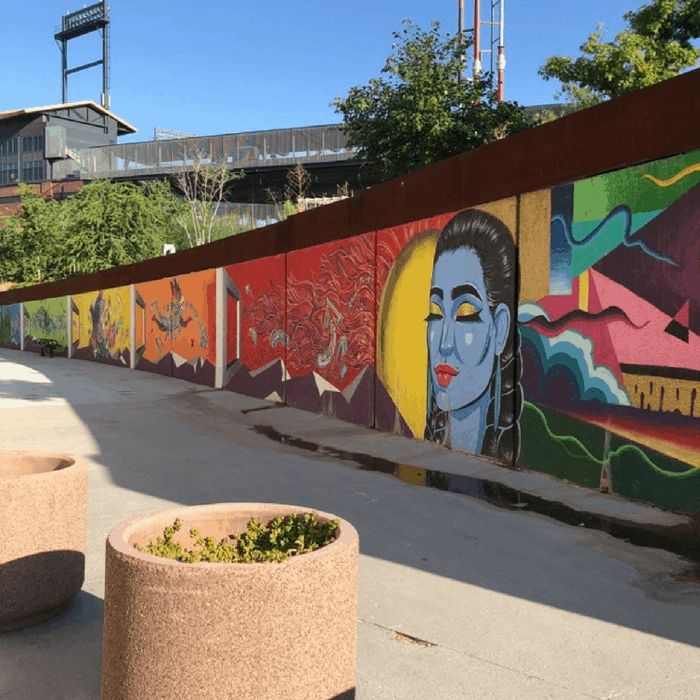 I spent my last morning wandering around the city looking at the incredible street art and architecture in El Paso, this seriously made me so happy! The downtown is very walkable and I felt safe the whole time I was walking around by myself. I highly suggest downloading the Visit El Paso app to find walking tours and other ideas of things to do throughout the city. 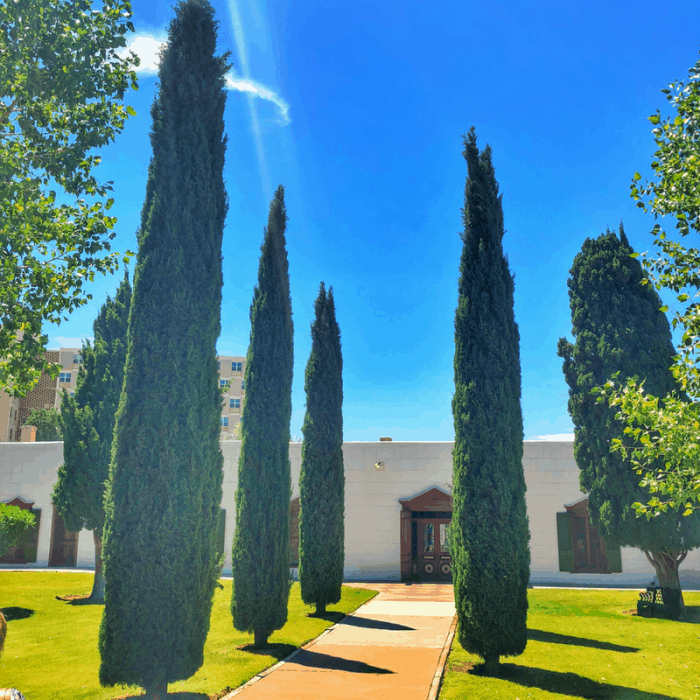 You can also catch a Broadway play at the Plaza which is beautiful inside and out or enjoy the art on display at the El Paso Museum of Art. You can even enjoy a cup of coffee from a repurposed shipping container that could double as art and let’s be honest good coffee is an artform too. Downtown El Paso is also very beautiful at night. 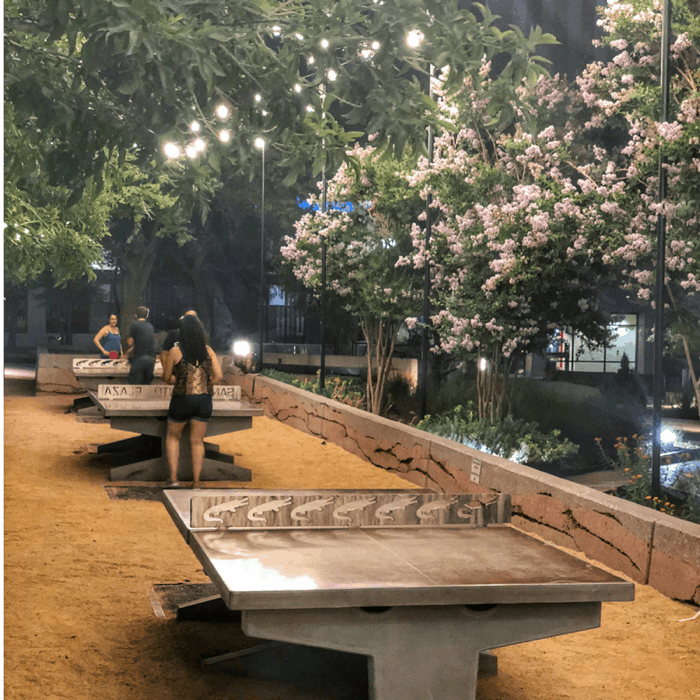 Make sure that you walk around the San Jacinto Plaza perfect for an evening stroll or game of ping pong with gator art. If your family enjoys science or if you are looking for a great homeschool field trip, I would suggest scheduling a tour of The TecH2O Center. 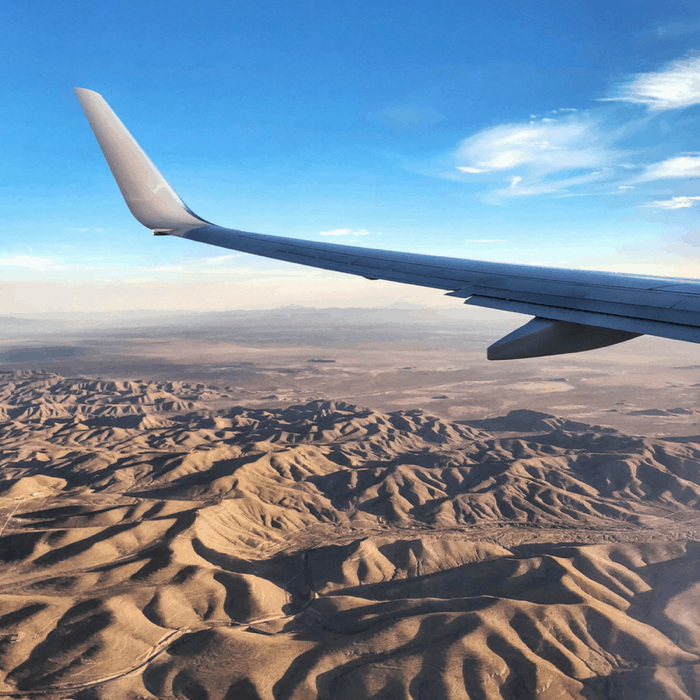 It’s the World’s largest inland desalination plant and you can learn more about the process of how technology is improving the water for local residents and being used to help other countries around the world. There is also a small interactive Water museum with hands-on exhibits. Of course one of my favorite parts of visiting a destination is the local food. Once again El Paso did not disappoint. 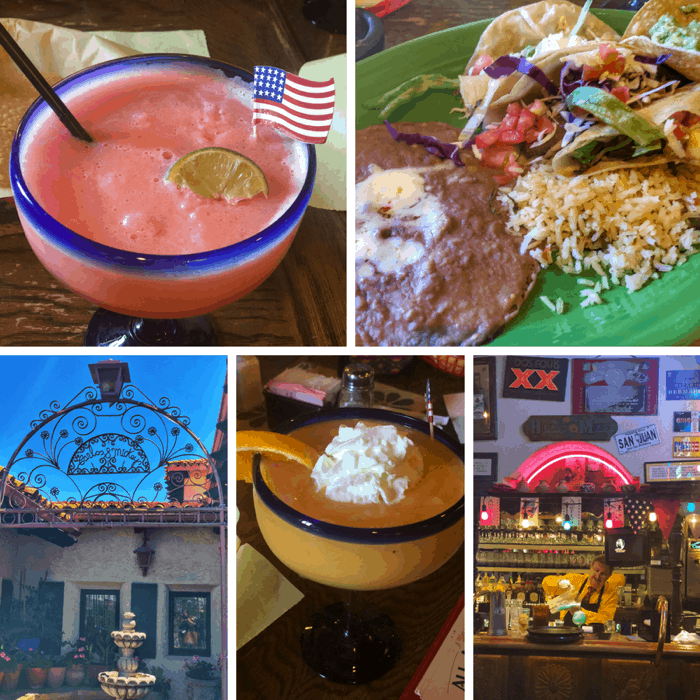 A few of the highlights during our visit were local favorite Carlos and Mickey’s for Mexican food and award-winning margaritas, they’ve been voted best margarita in El Paso. I highly recommend the prickly pear margarita and the tacos. 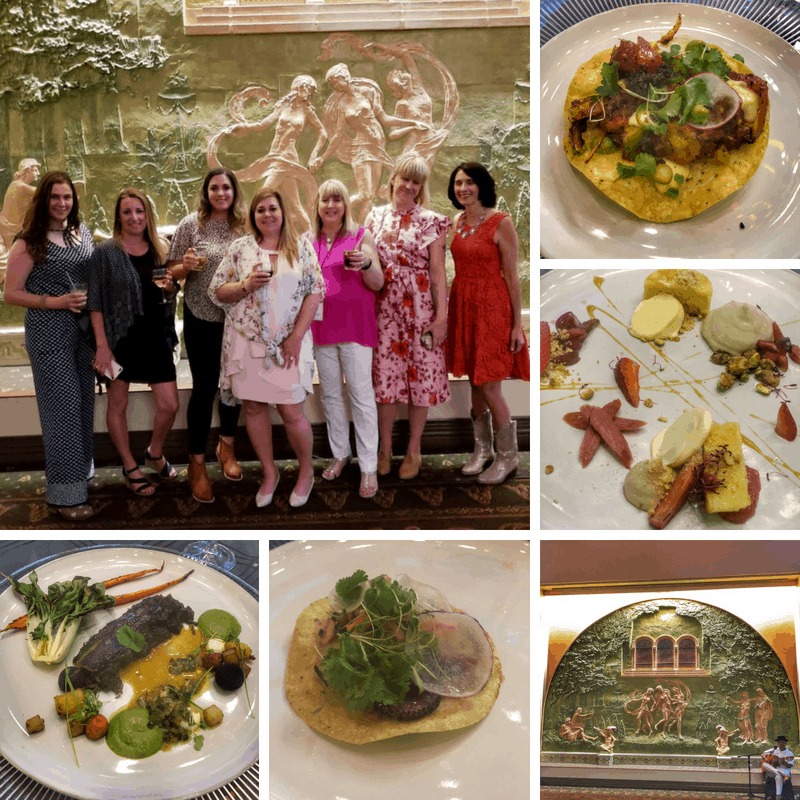 During our visit we were also treated to a special meal created by local chef, Oscar Herrera who owns two restaurants in Juarez, Mexico called Flor de Nogal and Maria Chuchena. 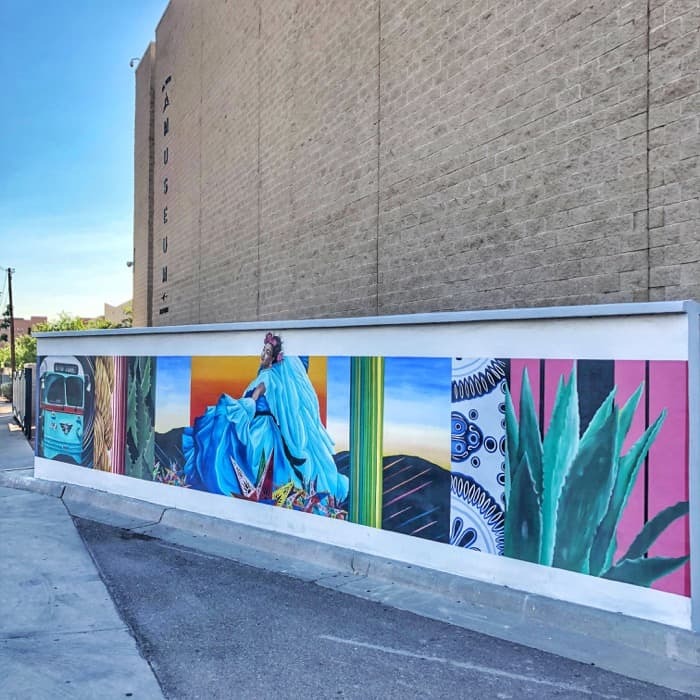 He also has a new restaurant opening up called Taft-Diaz that will feature international cuisine with a Mexican flair at the Stanton Street Hotel in downtown El Paso. 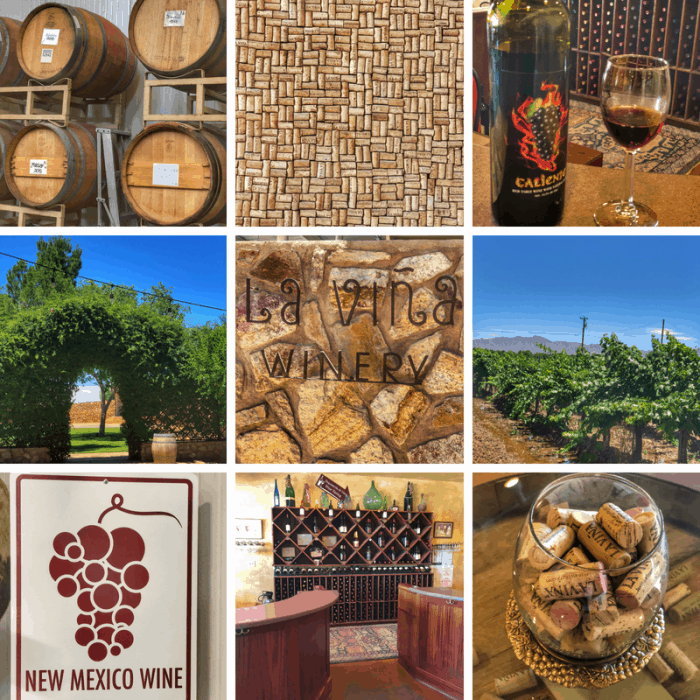 Thankfully you don’t have to travel far from El Paso to enjoy a wine tasting at the oldest winery in New Mexico dating back to 1977. La Vina Winery offers tours and tastings every day but Wednesday from noon to 5. It is recommended to call before to schedule a tour. The winery offers 22 different types of grape vines that will suit just about any palette and hosts special events throughout the year. 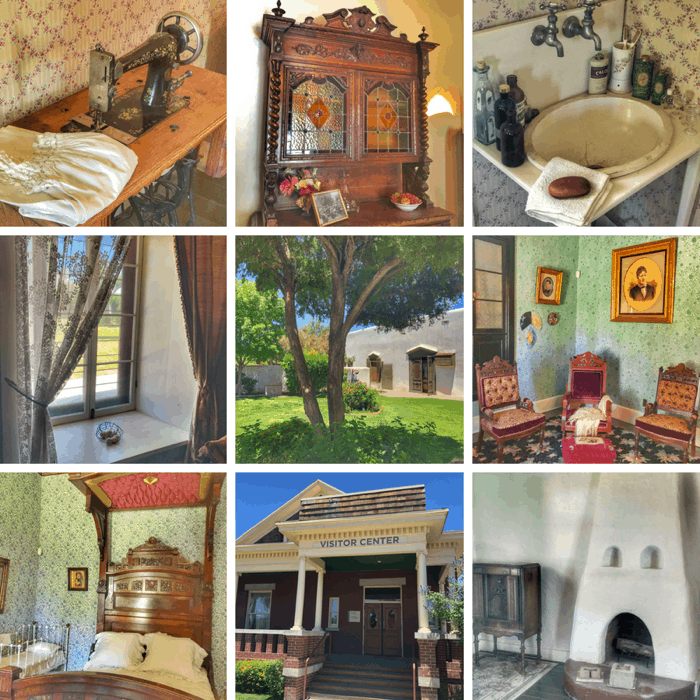 Discover an architectural gem and learn more about the multicultural family who once lived in the adobe home during a tour of the Magoffin Home State Historic Site. The tour shares more about the family’s history in the military along with more about the unique features of the home inside and out. The exterior walls of the adobe home are two and a half to three feet thick and different parts of the home reflect different time periods and additions. The home was often used for entertaining guests and the furniture pieces and household items also have very interesting stories as well. There is a visitor center located across the street from the home if you want to continue to learn more about the history of the area. I have to pass along this product if you are a fan of Bloody Marys. 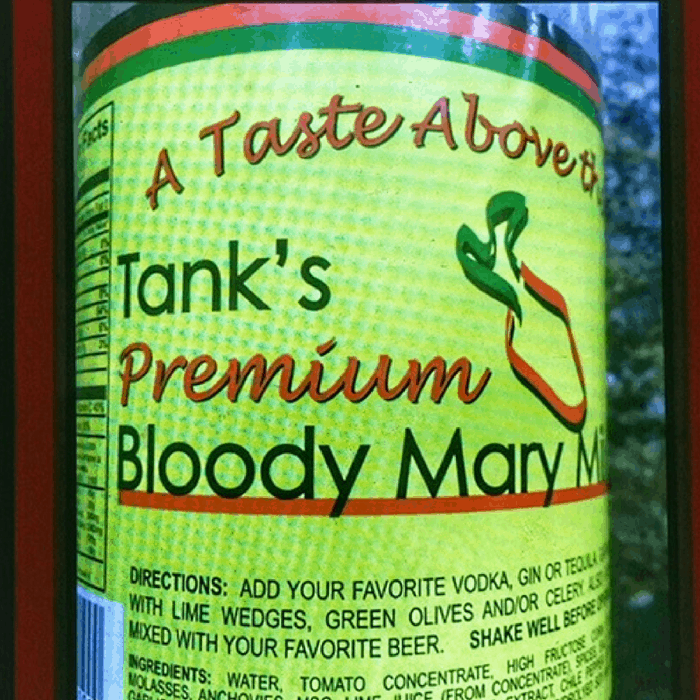 I brought the Tank’s Bloody Mary Mix back and I have a family member who said it’s THE BEST mix they have ever tried! She was having a hard time finding it locally but we discovered that you can get it online too. The dry heat blew my mind because I wore jeans all day during my visit but I was not burning up and it was in the high 90’s. Humidity makes all the difference! I’m a big fan of dry heat because you don’t sweat the same as you do in humidity and your hair also doesn’t frizz. 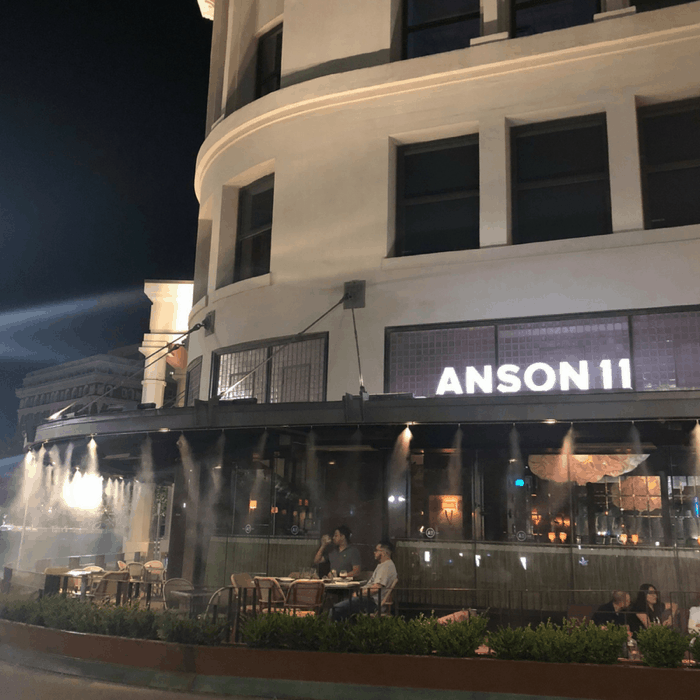 I also noticed that several area restaurants use water misters which make sitting outside still enjoyable even if the temperatures are hot and Anson 11 is another great dinner option. 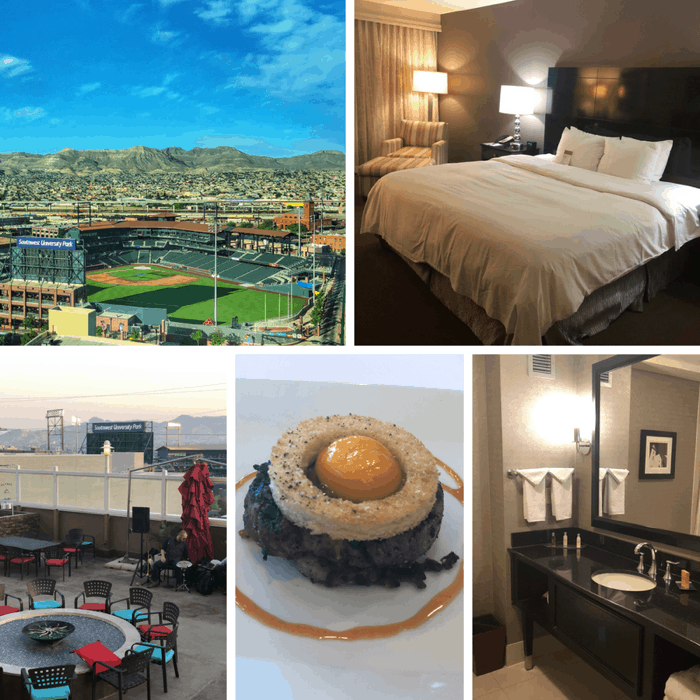 During my visit, I stayed at the DoubleTree by Hilton Hotel located in Downtown El Paso. This location was walkable to the Arts District with great views of the stadium from my room, a rooftop pool and patio area, and of course those AMAZING nutty chocolate chip cookies. 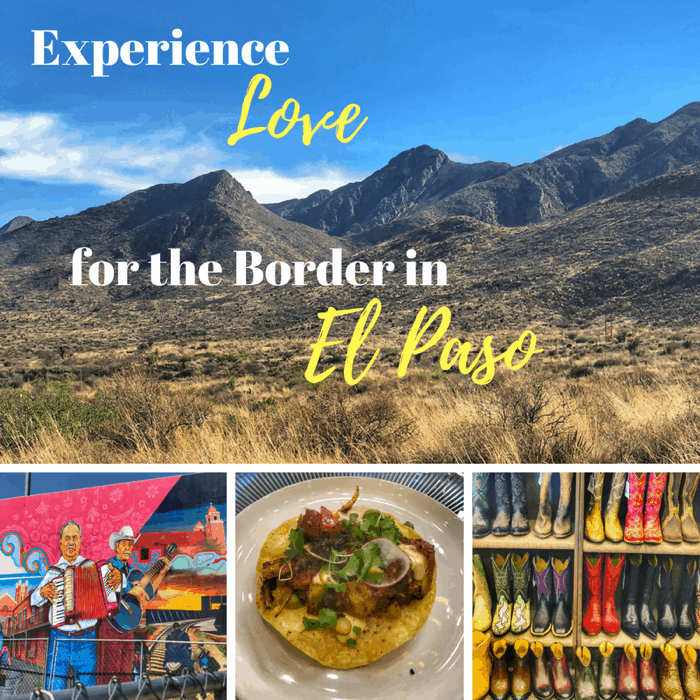 Before my visit to El Paso, I had met several locals during my travels who loved the area…. which made me want to visit even more. After my visit, I now get it, it’s such a wonderful place with wonderful people and culture and I can’t wait to come back! Thanks again to Visit El Paso for hosting my visit. All opinions are my own. This post contains affiliate links. I will be adding El Paso to my travel list, looks like there are so many amazing things to experience. Thank you for sharing. I’m a native El Pasoan. Thank you for sharing your experience as a visitor to the sun city. Also thank you for posting a positive and very informative article about your visit. This will definitely help with bringing in more tourists and giving them an insight about what to expect. Thank you, Karen! I’m so glad that you enjoyed the article about El Paso, especially as a local!